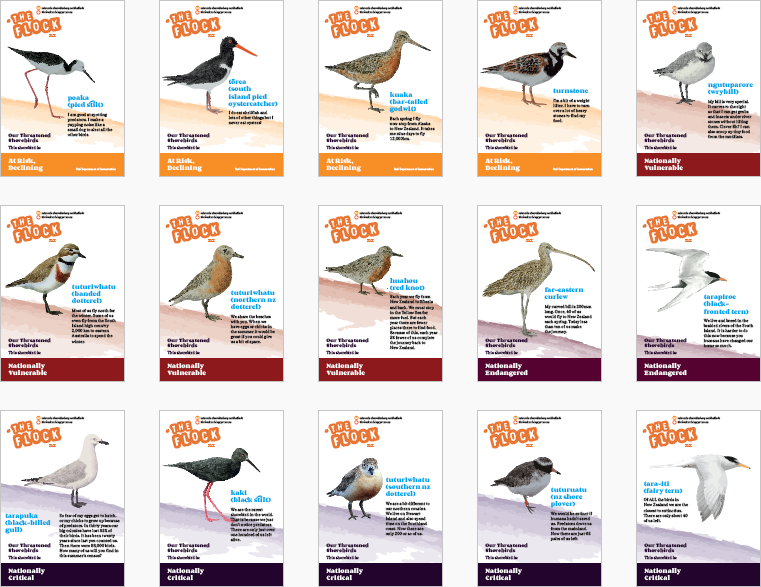 Download shorebird stories, banners, posters, and flock branding to help with making your own flock! The below provides some materials which can be used for the presentation and promotion of your flock. The stories of the shorebirds that we are focusing can be downloaded below. Threatened species banner -190 x 84cm banner. Secure for use outside with poles and guy ropes or waratahs and plain ropes. Threatened species poster – A3 size. Threatened species poster – A2 size. 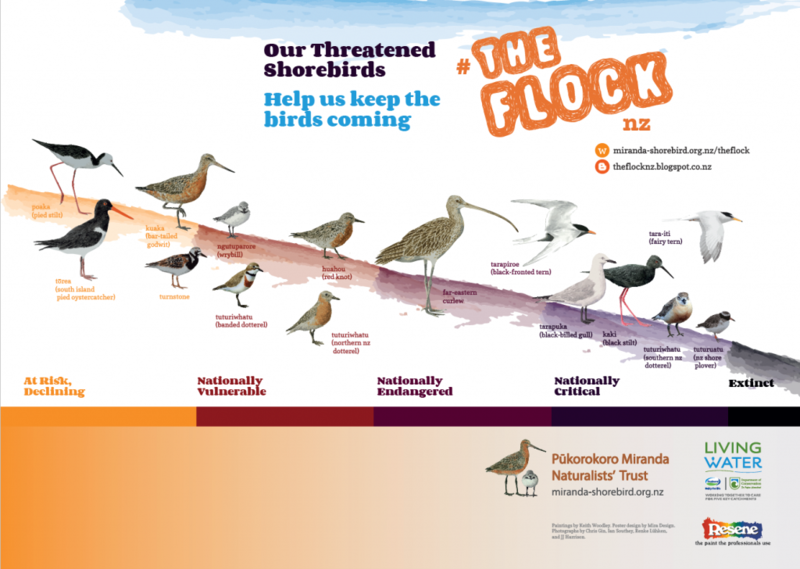 Threatened shorebirds poster series – A5 size. Shorebird stories — Further information about each of the birds.